Sony’s Alpha (A) series cameras make for an interesting range. They show both Sony’s desire to be considered one of the top camera suppliers, and in particular challenge Canon and Nikon in the professional market. Two ‘traditional’ 35mm full frame DSLRs were launched, and in time discontinued. Whatever comes next will use electronic viewfinder (EVF) technology, something that eventually will become more widespread, but with current technologies still faces challenges at the top end (compare the viewfinder experience of a Canon 1300D and 1D X mk2 to see how far EVF has to go in some areas). This page collects together any Sony ‘full frame’ info or other related rumours I hear of. 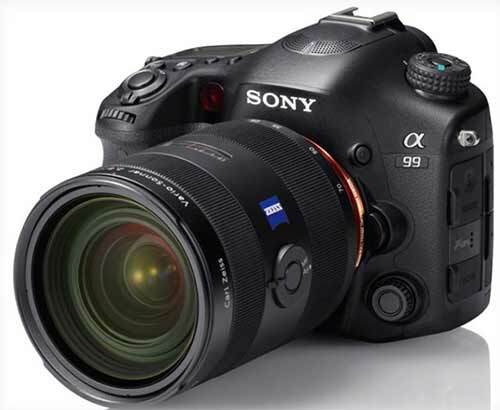 The upcoming firmware version 5.0 for α9 adds Sony’s newly developed Real-time Tracking mode for object tracking. This mode utilises Sony’s latest algorithm—including Artificial Intelligence-based object recognition—and processes colour, subject distance (depth), pattern (brightness) as well as spatial (distance) information to ensure that all subjects can be captured with extreme accuracy and precision. When photographing or videographing humans or animals, face and eye position information is recognised by AI and the subject’s eye is monitored in real time with extremely high tracking precision. In addition, “Tracking On” helps initiate real-time tracking at any time by simply pressing a custom-assigned button and “Touch Tracking,” which quickly activates through the touch screenii. Image quality will also be enhanced with the new α9 firmware version 5.0, specifically in the areas of colour reproduction. The camera will more accurately account for subtle changes in light for smoother, more natural tonal gradations in elements like the sky. There is a new auto white balance algorithm that gets added as well, which produces more consistently balanced images while burst shooting. Other new functions for efficient controls and data management include My Dial and Dual Slot media menu improvement, rating and protect functions. The cameras will also receive interval recording functionality that will allow for simple creation of time-lapse movies vii. The new feature can be set for anywhere between 1 and 60 seconds, with a total number of shots from 1 to 9999. AE tracking sensitivity can also be adjusted to “High”, “Mid” or “Low” during interval recording, allowing for reduced changes in exposure over the shooting interval. 18th The Photokina interviews continue to appear (staples of the slack-news post show period) with Sony talking to DPReview [DPR] – some hints about what to expect and that currently MF is not part of the picture. When shooting with a flash in an environment with flickering light sources, the exposure stability is improved. 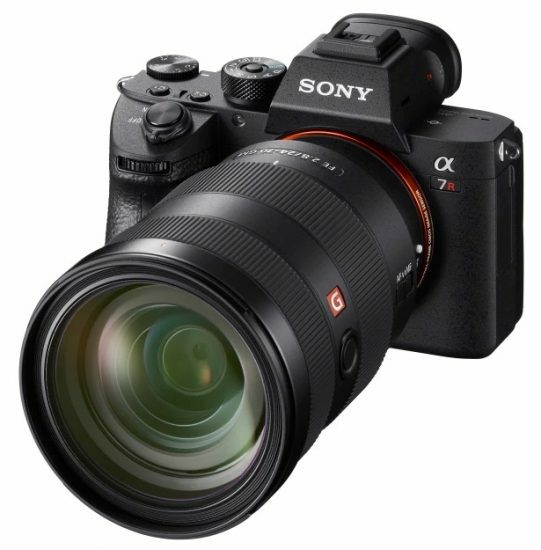 5th A good Sony A7 mk3 review by Thom Hogan, with a comparison of what changed. 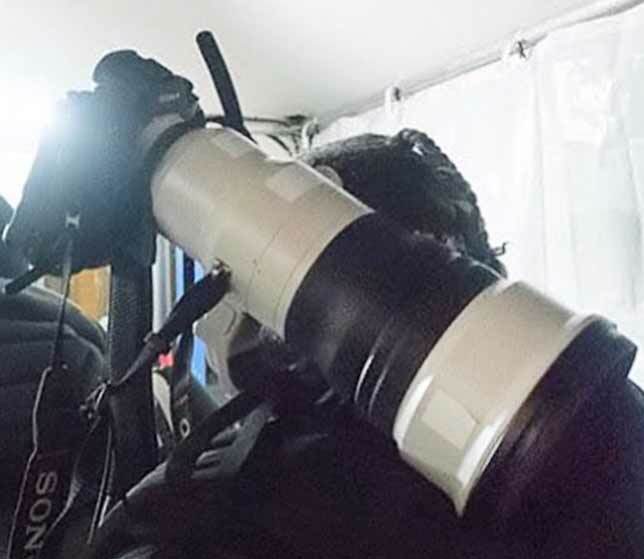 12th The Sony 400mm f/2.8 GM OSS lens is spotted at the Winter Olympics. 8th Sony has announced an expansion of its ‘Pro Support‘ to cover more countries in Europe. 15 stops of dynamic range due to the processor of the camera. Pixel shift multi shooting to capture more colour. 27th An A9r (or A7rIII) is being suggested on a number of ‘non-rumour’ sites. The high MP (60-70) camera stuff looks like a mix of speculation and re-hashing some previous reports, such as at [SR] a few weeks ago. Given the performance of the A9, an ‘r’ version would seem to be an obvious development to jump up from the current 42MP – especially since this would top Canon’s current 50MP offerings. 5th Whilst updating the main rumour page I thought it was time to include a Sony timeline. Here’s a work in progress, covering A and E mounts – dates are based on WP data. 27th The Sony interview is published again [IR] and now makes it clear that there is no ‘holding back’ of the best sensors, but it is a matter of some Sony camera co-development work being proprietary. 21st Interesting interview appearing briefly with Sony about sensors. It was pulled, but this is said to be a precis taken from a cached version of the original. Nikon/Canon use two systems for AF so their system can’t be intelligent. Our system can be intelligent because our sensor manages the AF. The real advantage of mirrorless is direct information not the lack of a mirror. An early problem with mirrorless was getting the data off the chip fast enough. Now the problem is interpreting all the data. Sony a7RII mainly brought in customers form other systems, but Sony hopes to grow the ILC market beyond current DSLR/ILC users. The price difference between Full Frame and APS-C could get closer together with time. 17th After an awful lot of ‘speculative’ rumours over the last month or so, the suggestions of a new Sony ‘high end’ camera seem to be firming up. Sony’s approach to higher end cameras is interesting and I have to say in some areas it’s of decided interest for the kind of work I do for my day to day photography. 5th Is there more to come? 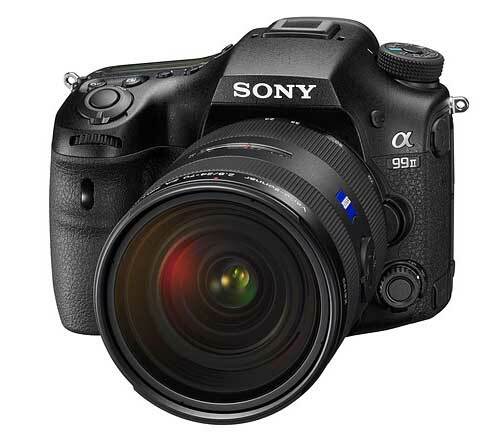 In addition to its advanced autofocusing, the α99 II has been designed to allow for high resolution, continuous shooting at high frame rates. The camera features a new front-end LSI that works with the image sensor, BIONZ X image processing engine and a newly designed shutter unit to enable continuous shooting at impressive speeds of up to 12fps2with AF/AE tracking6. Thanks to a large buffer, these shots can be viewed immediately after shooting, even when in high-speed continuous shooting mode. Additionally, if these high-speed shots are being taken indoors under artificial lighting, the camera can automatically detect flicker and time the shutter accordingly to minimize its effect on the resulting images7. 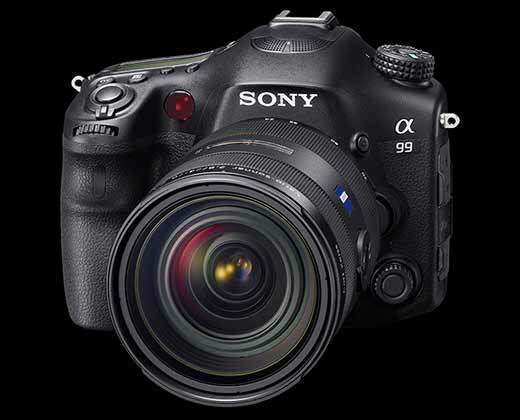 The α99 II also features a new shutter unit that has an estimated life of more than 300,000 operations14, as well as an XGA OLED Tru-finder with a ZEISS T* Coating that offers a powerful 0.78x magnification and delivers outstanding clarify from corner to corner. The viewfinder also has a fluorine coating on the outer lens to prevent fingerprints, dust, water, oil and dirt from sticking, ensuring a clear view. 24th Is Sony looking to quietly let the A mount wither? I’m rewriting the entire site and was re-arranging the Sony rumours section (true, never a big section) and noticed that we’ve not seen anything in this area for quite some time. It seems that E mount is the way they want to go? I just wonder why such an obvious improvement was ignored for so long? 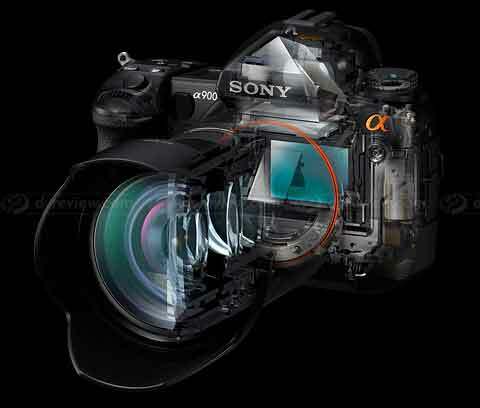 “Sony will concentrate on full-frame cameras in the future. In the short run, we will target existing full-frame camera users and then attract those who use entry and mid-class models to upgrade their cameras in the long run, raising the popularity of full-frame cameras. To do so, we plan to boost our presence in the professional market such as photo studios and wedding photography. Besides the stagnant growth of the camera market, the entry-class segment of the lens-interchangeable camera market is slowing down drastically. An interesting camera that will appeal to many, although the timing of its announcement – several months before availability – rather stole any thunder that the other Sony announcements might have had. My mistake, with the full info on the lens page, for originally putting this as FE, when all the info said was FF – new source, so usual caveats. I don’t know Sony lens mounts well enough to know how well they take an off-centred lens, such as you’d get with a T/S setup. …so much for ‘A’ mount? Not a top grade rumour but if Sony want to aim at the pro market, then they need this sort of stuff. 15th There seems to be a wide expectation that Sony’s 50MP large sensor (larger than 35mm, but still smaller than traditional film MF) may appear in a mirrorless/rangefinder style body, and that they are going to be bringing out a 35mm sensor with 45-50MP that will appear in full frame models next year (and presumably a successor to the Nikon D810 at some point). Very light, weather sealed magnesium alloy body | Weight: 730 g.
Stiil no real info on an A99. Perhaps an EVF for the next full frame camera? 19th After the announcement of the 18MP Canon 1D X, people are looking at other manufacturers ‘full frame’/FX/35mm offerings and wondering where sensor design is going to go? Looks as if any forthcoming cameras will also be ‘SLT’ types with no optical viewfinder. 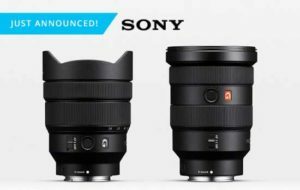 A850 is marked as discontinued – so much for Sony and ‘Full Frame’? The SAL70400G lens is a 5.7x super telephoto zoom lens and the latest addition to Sony’s G-series line of premium lenses. Designed to deliver extremely sharp descriptive performance across its wide focal length range, it is ideally suited for sports, action and wildlife photography. Video out AV (Selectable NTSC or PAL), HDMI (1920 x 1080i, 1280 x 720p, 720 x 580p, 720 x 576p), ‘PhotoTV’ HD settings applied with BRAVIA. Vertical grip Vertical Grip VG-C90AM, One or Two NP-FM500H batteries with auto switchover for power (additional battery is optional).